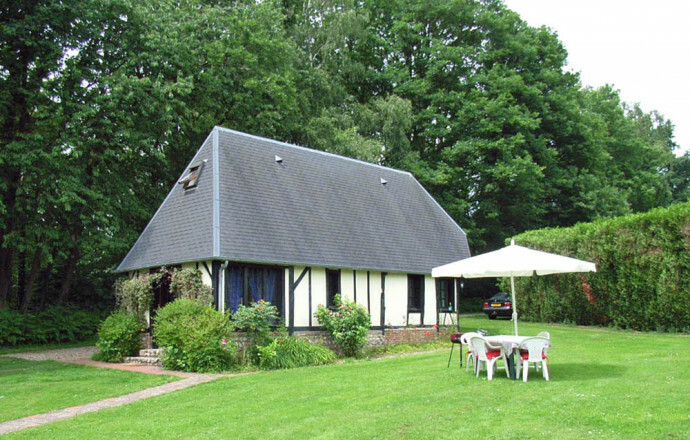 Accommodation surrounded by a large fenced garden, ideal for children. Less than 1h from Rouen and its historic center. 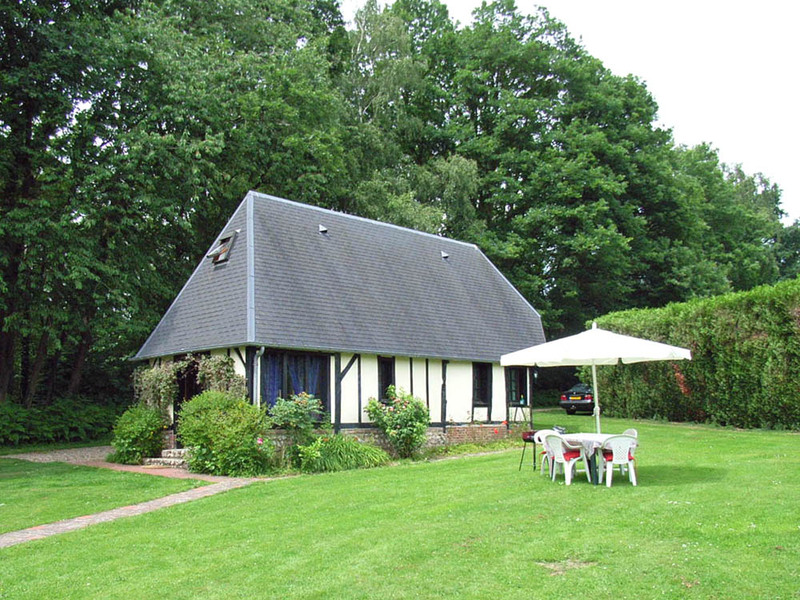 A small timber-framed house nestled in a lush surroundings, an ideal starting point for long strolls or for a really relaxing stay. 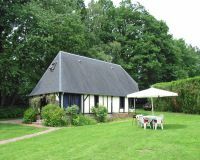 Comfortable and modern, this gite is located next to the owners' house, on a huge fenced and wooded land. You can discover the treasures of the Roumois and its valleys. A 2000m² garden. The children will enjoy the swing, slide and treehouse. Ground floor: equipped kitchen with an eating room, sitting room, shower room and toilet. 1st floor: 1 bedroom (1 double bed), 1 bedroom (1 single bed, 1 bed for a child, 1 cot). Electric heating.